My new passport arrived in this morning's mail exactly one week from the day I sent in my application. I love it when the system works like it's supposed to! So...I'm good for another ten years. 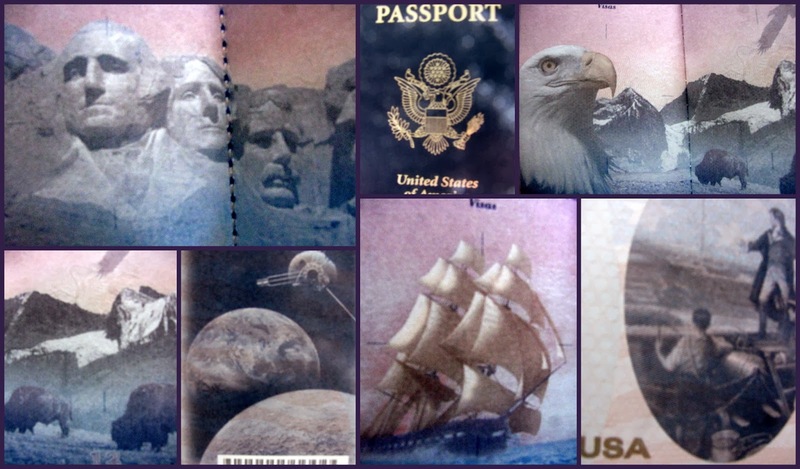 The pages in this new passport are quite pretty. Each one has a different background design. I've boosted the contrast in the photos, so you can see the images betters. This will give me something interesting to look at while I'm waiting in those long security lines at the airport. Do you think people will think I'm weird for 'reading' my passport?? That's very quick. The UK authorities make it increasingly difficult for people living abroad to renew their passports. Mine will be up again for renewal in three years' time - which sounds a long way away but I'd better not get caught out.